This blog continues to explain the related content of johnson wedge wire screens. 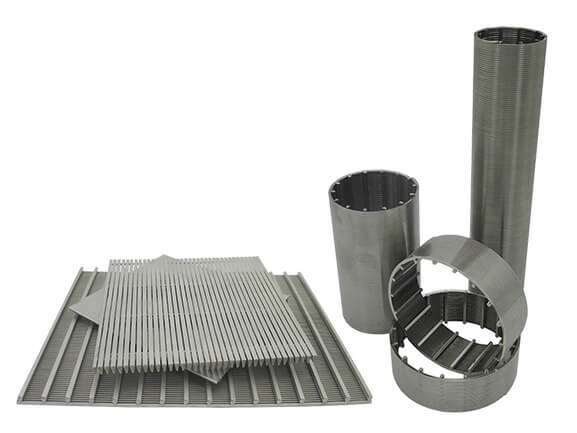 In my previous blog, johnson wedge wire screens are usually used in the filtering industry. Can it be used in other industries? The answer is yes. This blog only introduces its application in coal mining: Application in Coal Washing and Coal Washing Technology. Coal washing is an indispensable process in coal deep processing. Coal directly mined from the mine is called raw coal, which is mingled with many impurities in the process of mining, and the quality of coal is different. Coal with small internal ash and large internal ash is mixed together. Coal washing is an industrial process that removes impurities from raw coal or classifies high-quality coal and low-quality coal. The products produced after the coal washing process are generally divided into gangue, medium coal, grade B and grade A. The finished coal after coal washing process is usually called clean coal. Through coal washing, the transportation cost of coal can be reduced and the utilization rate of coal can be improved. Clean coal is generally used as fuel energy. Clean coal of bituminous coal is mainly used for coking. It needs to desulfurize, remove impurities and other industrial processes to achieve the standard of coking. Coal processing, waste disposal, material, and equipment transportation constitute the mine ground system. The surface coal processing system is composed of coal receiving, screening (johnson wedge wire screens), crushing, coal preparation, storage, loading, and other main links, and is the main body of mine surface production. Coal receiving is a bunker with a certain capacity near the wellhead, which accepts the coal lifted to the ground under the well and ensures the balanced and continuous production of the wellhead up and down. At this time, there are many metal screens to choose from. Johnson wedge wire screen is the best chose. Screening is the process of dividing a mixture of different particle sizes into different poles with a porous screen surface. The machine used for screening is called a screening machine or a johnson wedge wire screens. In coal preparation plant, screening operation is widely used in raw coal preparation and treatment. According to the different screening methods, it can be divided into dry screening and wet screening. 1) To meet the requirements of the selected particles; the coal particles that can be treated by the cleaning machine have a certain extent, and the large pieces beyond this range can be washed only by crushing. 2) Some coal lumps are gangue coal mixed with coal and gangue. In order to select clean coal from them, it is necessary to break into smaller particles to separate coal and gangue. 3) To meet the user's particle requirements, the selected products or coal are quickly crushed to a certain size. Material crushing mainly uses mechanical methods, such as crushing, splitting, breaking, crushing, grinding and so on. The johnson wedge wire screens is a V-shaped wire structure, the gap is not easy to plug, so it is very suitable for application in the coal washing process. 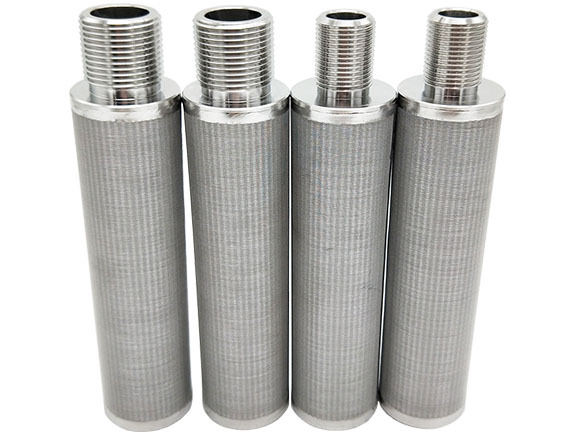 It uses different physical, physical and chemical properties of other substances to remove impurities mixed in raw coal by a mechanical method in coal preparation plant, and divides them into products of different quality and specifications to meet the needs of different users. According to the location of the coal preparation plant and the coal mine, the coal preparation plant can be divided into mine coal preparation plant, group coal preparation plant, a central coal preparation plant, and user coal preparation plant; most of the existing coal preparation plants in China are mine coal washing plants. Modern coal washery is a continuous mechanical processing system consisting of many operating systems. Jigging coal preparation refers to the process of coal preparation in a vertical pulsating medium according to the difference of particle density. The medium of jigging coal preparation is water or air, and individual coal preparation is also carried out with suspension. At present, hydraulic jigging is the most common method in coal preparation. Jigging machine is product equipment which uses jigging separation principle to separate raw materials into clean coal, medium coal, and gangue according to their density. In a medium with a density greater than 1g/cm3, coal preparation according to the difference of particle density is called dense medium coal preparation or dense medium coal preparation. There are two kinds of heavy media used in coal preparation: heavy liquor and gravity flotation liquor. The main advantages of dense medium coal preparation are high separation efficiency and wide particle size range. The feed size of the separator is 1000-6mm3 and the swirler is 80-0.15mm. The production control is easy to automate. The disadvantage of dense medium coal preparation is that the production process is complex, the production cost is high, the equipment wears quickly and the maintenance quantity is large. Dense medium coal preparation is generally classified. Separation of lump coal is usually carried out by a heavy medium separator under gravity and separation of foam coal by a heavy medium cyclone under centrifugal force. (1) Coal washing can remove 50%-80% of ash and 30%-40% of total sulfur (or 60%~80% of inorganic sulfur) in coal. Burning coal can effectively reduce soot, SO2, and NOx. Emissions, washing 100 million tons of thermal coal can generally reduce 600,000 to 700,000 tSO2, remove 16Mt of meteorites. The improvement of coal quality will significantly improve coal utilization efficiency. Some studies have shown that: the ash content of coking coal is reduced by 1%, the coke consumption of ironmaking is reduced by 2.66%, the utilization factor of the ironmaking blast furnace can be increased by 3.99%; the production of ammonia using washing anthracite can be saved by 20%; the coal ash for power generation For every 1% increase, the calorific value drops by 200~360J/g, and the standard coal consumption per kWh increases by 2~5g; for industrial boilers and kiln burning washing coal, the thermal efficiency can be increased by 3%~8%. The development of coal washing is conducive to the transformation of coal products from a single structure, low quality to multiple varieties and high quality, to achieve high-quality products. There are many users of coal consumption in China, and the requirements for coal quality and variety are constantly improving. In some cities, coal sulfur content is less than 0.5% and ash content is less than 10%. If the coal is not developed, it will not meet the market requirements. Because China's coal-producing areas are far away from the economically developed areas with more coal, the coal transportation volume is large and the transportation distance is long. The average coal transportation distance is about 600 kilometers. After washing, the coal can remove a lot of impurities and wash 100Mt of raw coal. , can save 9600Mt-km capacity. This is the application of the johnson wedge wire screens in coal washing and the introduction of the coal washing process.